14 items found searching fields. 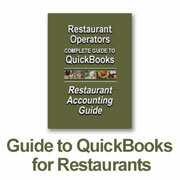 This is a detailed, step-by-step, restaurant-specific guide to the QuickBooks, the most popular small business accounting software in the world. 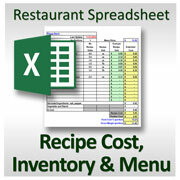 It includes customized, ready-to-use QuickBooks company files for full- and quick-service restaurants to get you up and running right away! 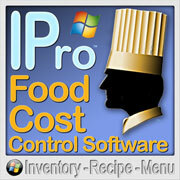 Downloadable e-book for i... more. QuickPlan Bar and Night Club rapidly develops bar business plans you can take to the bank. This member of the QuickPlan family is for full-service bars, taverns and night clubs. Whether you are starting your first bar, looking for expansion capital to open your next or want to sell your multi-unit chain, with QuickPlan, all you have to ... more. 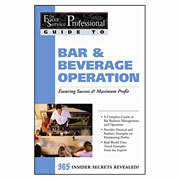 A complete course in bar business management and operation with practical and realistic examples on maximizing profits. Part of the new GUIDE TO series from the editors of the Food Service Professional Magazine, this is one the best and most comprehensive books for serious food service operations available today.... more. 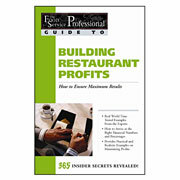 The most comprehensive restaurant management book ever printed! 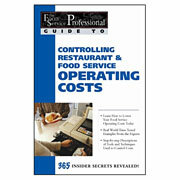 This outstanding manual will show you step-by-step how to set up, operate and manage a financially successful foodservice operation. Includes a companion CD containing all the forms and checklists from the book in ready to use format. Twenty-eight chapters, 800 pages and hu... more.